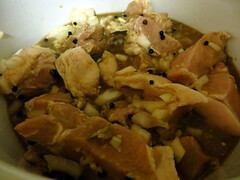 Girls Just Wanna Have (Chow) Fun… | Hapa...Shot the Food! Close to the beginning of last month, Kechara, a few of our closest gal pals, and I set out on a quest: to find accessories for the outfit that I will be wearing for my upcoming wedding. 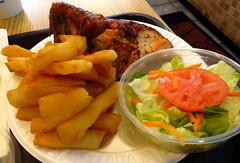 Before we did that, we met up for dinner at Hollywood East Cafe in Wheaton, MD, a place I had not tried before. 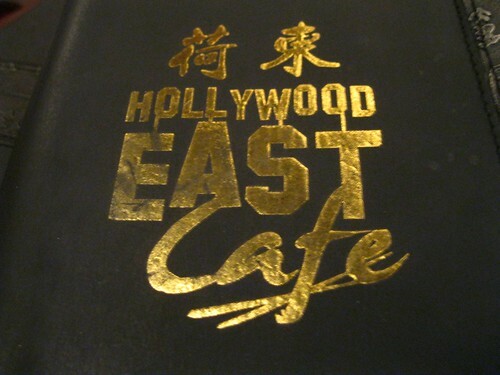 I knew Hollywood East to serve dim sum on weekends, an experience in which many of us will soon take part. It was relatively quiet that Friday evening. Several large families were present, though, including some Chinese/Chinese-American ones (which I generally see as a good sign for a Chinese restaurant). 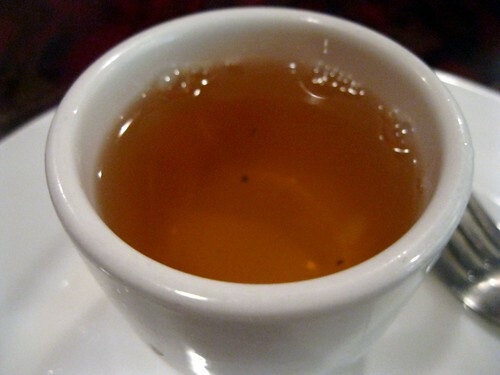 There was plenty of jasmine tea to go around. LeahGeek had some of the crab wontons. 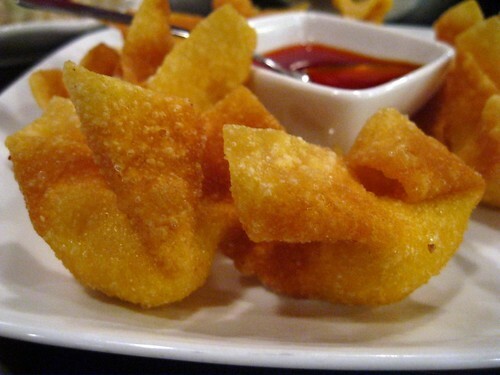 I like how they look a little like folded origami… only out of fried wonton wrapper. 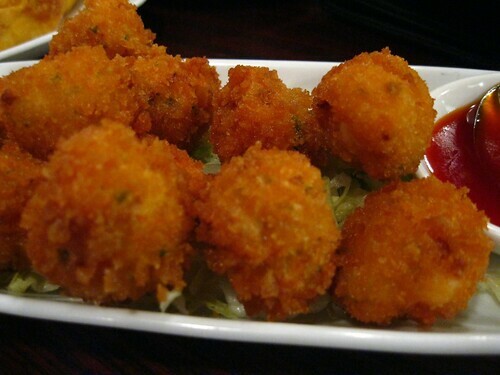 A sweet and sour sauce would accompany the appetizer. 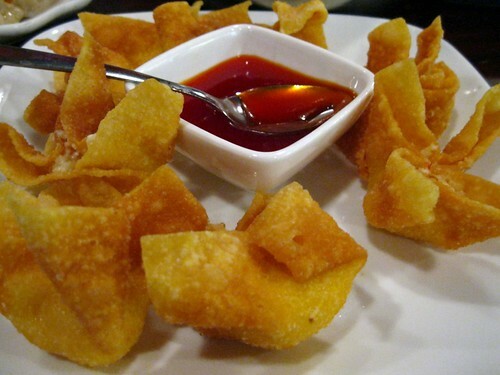 The crab wontons a little bit closer… Hot and crispy on the outside, creamy on the inside. 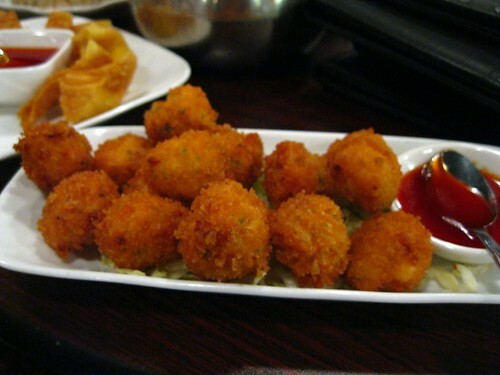 I ordered the crab and shrimp balls; I was surprised how many there were! Admittedly I forgot to ask if they were steamed or fried. 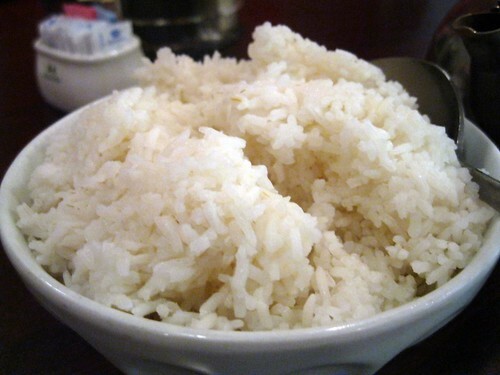 What’s a meal at a Chinese restaurant without some rice? 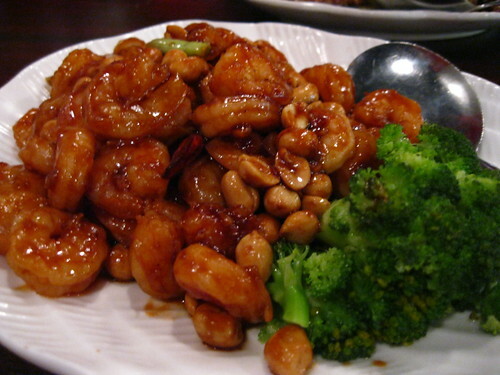 Moonshoes had the Kung Pao shrimp. It looked good, but I don’t remember having tried it unfortunately. 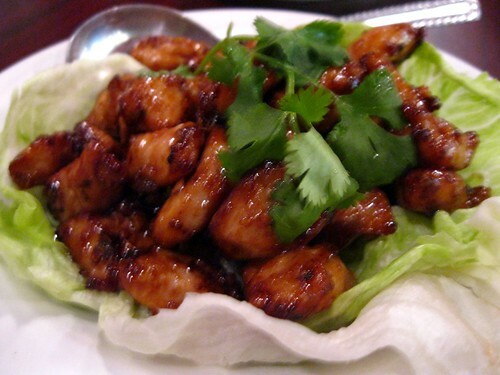 SPFfy had the Lemongrass Chicken…savory with a hint of sweet (unless my memory fails me, which is possible). 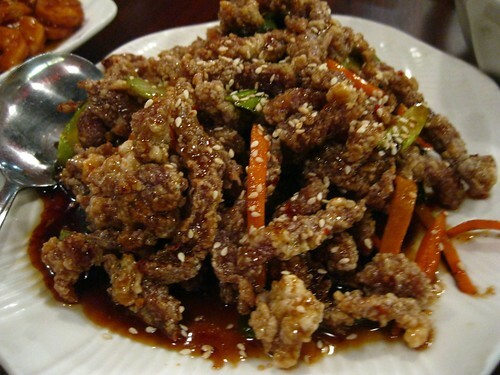 Kechara had the Orange Beef, but with the spice greatly reduced…more meat candy! 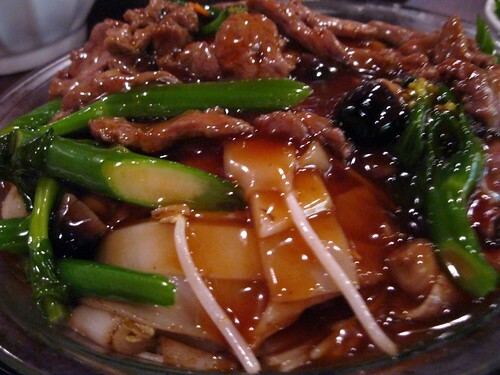 My dish was the Beef Chow Fun with Chinese Broccoli. I did not expect mushrooms to be there, but I like mushrooms, so they were an added plus. 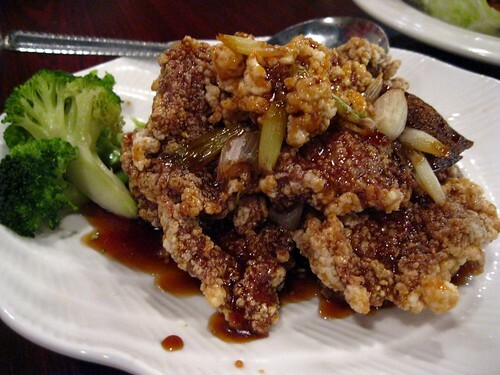 I loved the savoriness of the dish as well as the crunch of the Chinese Broccoli. Ultimately, there was much fun had and lots of food to take home. The fun continued after dinner; I found a good pair of shoes, a headband, and a clutch that night with everyone’s help. Some of our merry band also found good accessories for the outfits they would be wearing at the wedding. Posted on August 15, 2011, in Chinese, eating out. Bookmark the permalink. 1 Comment.